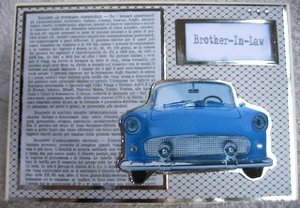 Do you get stuck for ideas to make cards for men? Here are some ideas for you to try. We covered the Art Deco period for some ideas to make cards for women, so here are some for the men too. These cards are often a challenge, especially if you love the sparkle, flowers and bling, that is so easy to add to female cards. However we all have men in our families that we need to buy a special card for, whatever their age, be it 0 to 90! If you keep the colours more neutral and keep away from the flowers...(difficult!) then you are in with a chance, although some men do like the paler colours in their cards. 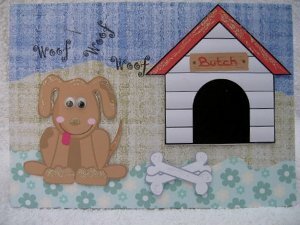 There are lots of themes on which to base your creations and some will depend on the person you are sending the card too. 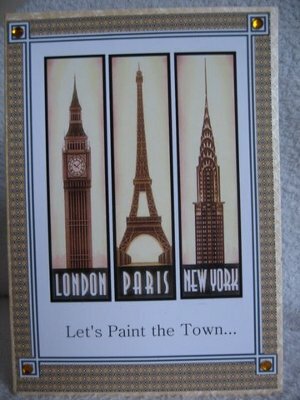 for some really neat ideas to base your themes on. Small children like animals, toys and their ages displayed to the world. So make a card from their Age and add their name on it too. 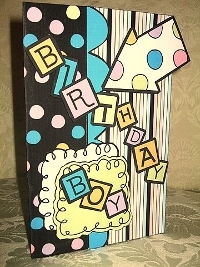 Older boys may like spaceships, robots or cartoon characters and for teens how about the funky colors in this card. For the older age groups consider their occupations, skills, hobbies, sports, cars or motorcycles that they enjoy. 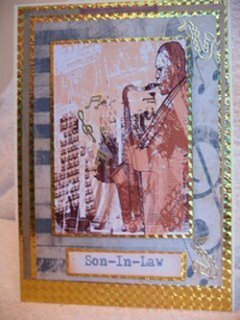 There are lots of kits on the market to cater for male themed cards, and although not as easy to make as those for the ladies you could still put together a really good card for men. At the bottom of the page you will find the links to some Faux Effects that are particularly good for any of your male cards.